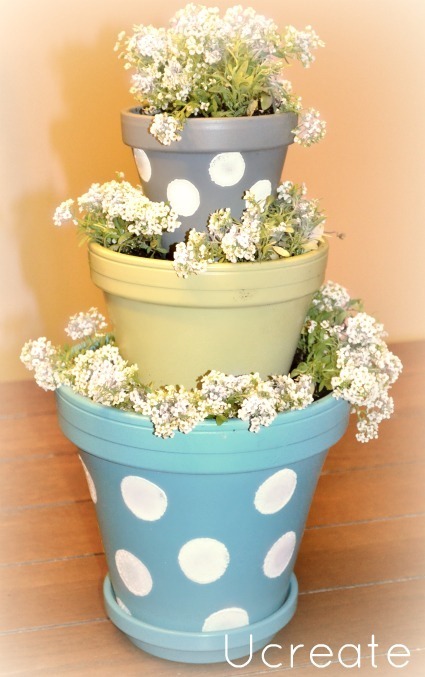 I’ve been wondering what to give the moms for Mother’s Day and I’m loving all of the decorated clay pots everywhere! 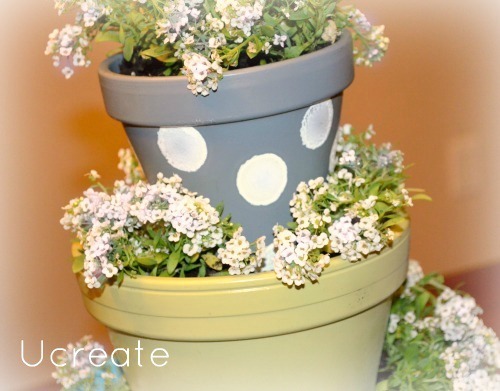 A thought came to me the other day…create mini stacked planters as gifts! They’re less expensive, you can use them as a centerpiece or display on an end table, and they’re easy to carry. Don’t get me wrong…I plan on making a large set for my front porch asap! 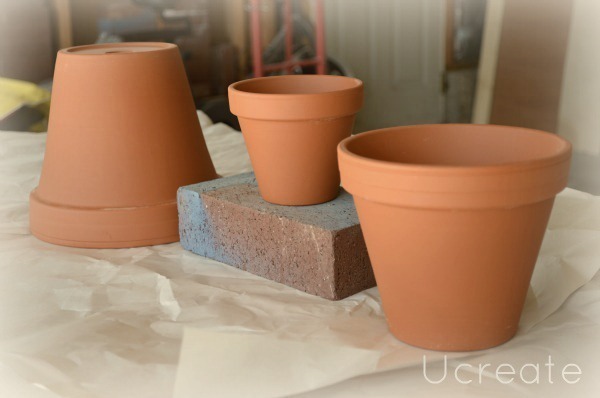 I headed down to my local Michaels Craft Store and purchased the clay planters, spray paint, and paint sponges. 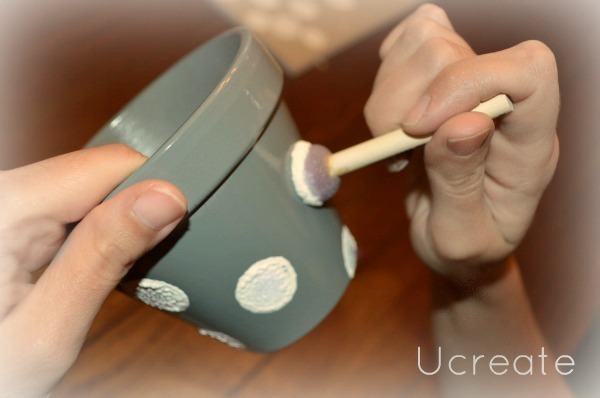 …used my handy sponge circle brush and white acrylic paint to put on the dots! …the perfect Mother’s Day gift! Very cute! I love the pots. thank you! they were so easy and fun to make! Those pots look awesome. Pinning the post for future reference. Kari, these turned out PERFECT! What a great gift idea!! Love how they turned out Kari!! So pretty!! Love these! Now I know what to do for my Mother-In-Law! You are so welcome Kristy! Have fun making them! Kar, those are sooooo cute! Seriously, great job. Can’t wait to make mine. 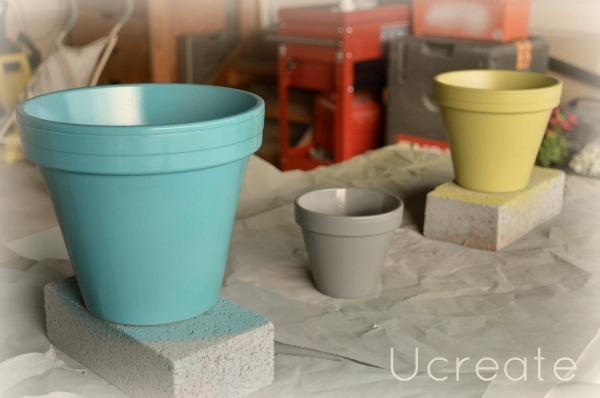 Love the fun colors and stackable pots! Thank you Katie – I’m in a major polka dot mood lately! Ooo…I would love to see that Taci!